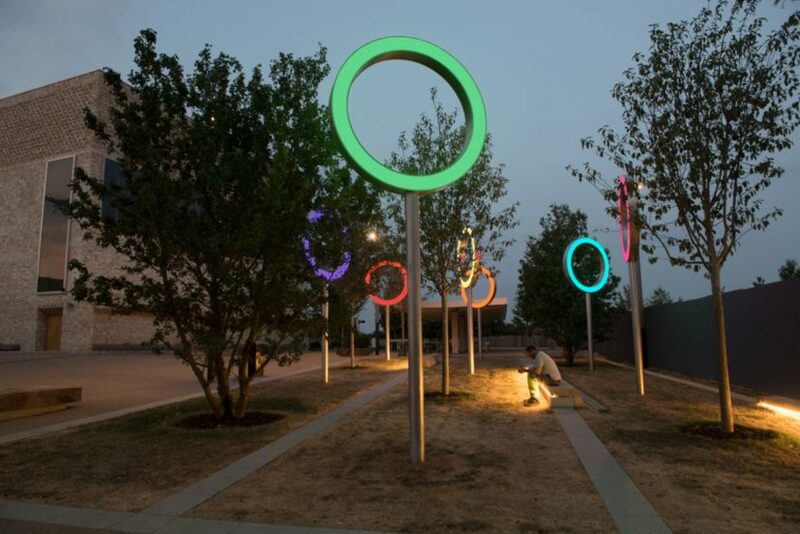 The fourth permanent artwork to be realised for Eddington (the North West Cambridge Development), Richard Of York Gave Battle In Vain by artist David Batchelor, draws inspiration from Cambridge scholar Sir Isaac Newton. In 1704, in his pioneering work on optics, Newton divided the visible light spectrum into a circle of seven distinct colours: red, orange, yellow, green, blue, indigo and violet. The title of Batchelor’s artwork references the common mnemonic used to memorise the order of the colours. 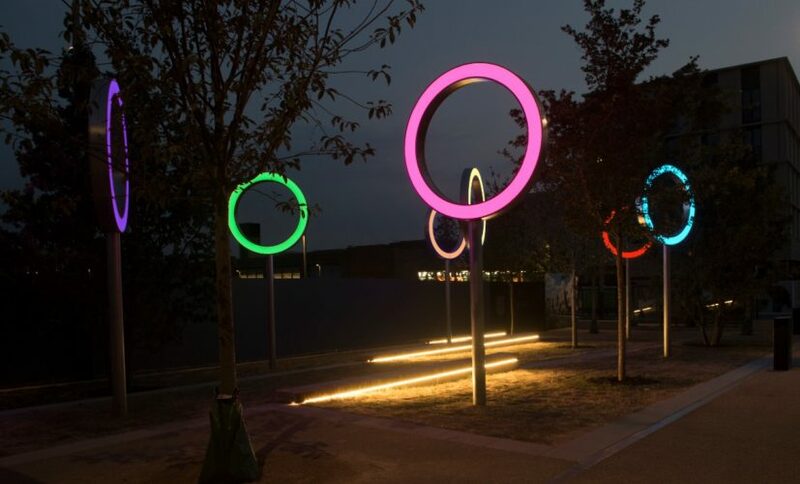 The striking sculpture, located in Community Square outside the Storey’s Field Centre, is made up of seven free-standing discs brightly lit with LEDs; at any one time each of the seven discs will correspond to one of the seven colours of the colour spectrum. 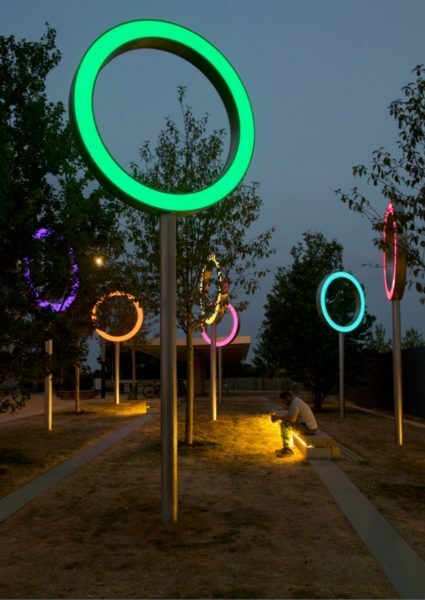 As well as providing a focal point for the public space, these discs also functions as a rudimentary clock. At any one point a disc will show a single colour, but over the course of an hour it will slowly move through the entire spectrum, returning to its starting colour on the hour. Each ‘clock’ will have a different starting colour, so no two discs will ever be the same colour at the same time. This permanent artwork was commissioned through the public art programme managed by the Contemporary Art Society, on behalf of the University of Cambridge. At the heart of the programme is a thorough understanding of place, allowing a distinctive identity to develop for Eddington and the North West Cambridge Development as the site is constructed.